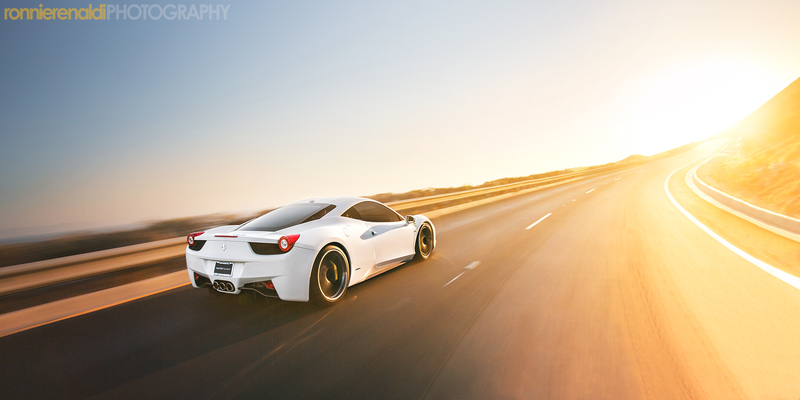 I know we feature the Ferrari 458 a lot here on Weekend Wallpaper, but there's just one problem. No matter what angle you look at it from, no matter what the context or the lighting, it just looks so damn good. Now, a good photographer does help. But even when you consider my fists of ham and my crappy phone camera, every time I've managed to take a picture of a 458 it just somehow... works. Lucky for you guys, though, this shot was done by an actual photographer. And I am the only one who thinks Ferraris tend to look really swell in white? Photo credit Ronnie Renaldi. Used with permission. For more of Ronnie's outstanding work, check out his Facebook page. For a giganto-desktop version, click here. Weekend Wallpapers are featured on Saturdays. Got one you'd like us to run? Send it to ballaban@jalopnik.com with the subject "Weekend Wallpaper." Just make sure you have the rights to use it.